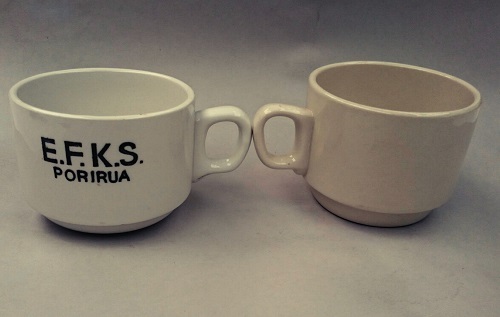 While naming files I noticed that the EFKS cup that I have was a shape 3641. I had wrongly put this cup with the 3622 shapes on my shelves as the handle is the same shape or so I thought ! Couldn't wait to check it out and found the base ring was rather small on the 3641 compared to the larger base on the 3622. They are a similar height, but the 3622 has an extra lump(?) at the base of the handle that the 3641 doesn't have. We didn't have any record of this shape, so I'm super pleased to find this reference. The reference also noted that the cup goes with a Shape 4624 saucer. The reference is from a 1989 stocktake sheet. I totally agree with you gloworm and wanted to add to the description Metro Tea Cup as the 3642 is the Metro Coffee Cup and you have prompted me to do that. 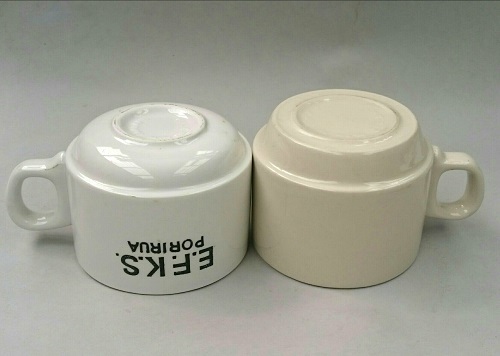 Do we have your lidded jar on the site? There are so many shapes that we don't have yet. yes I think it may be there somewhere.